Tale of two thirds against Perry. Alyssa Fortune shoots a jumper. Both the Lady Royals and Royals trailed at halftime of their games against Perry. Both games were in reach but a bad third quarter by the girls and strong one by the boys made the difference. Jalexia Taylor is swarmed by Perry defenders. After drawing within two to end the first on an Alyssa Fortune shot as time expired, Perry used a 13-4 run to go up 26-15 at halftime. BC scored only four points in the third quarter. 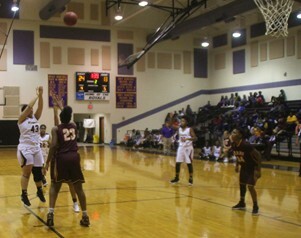 The Lady Panthers won 57-28. Tesa Taylor scored nine points. 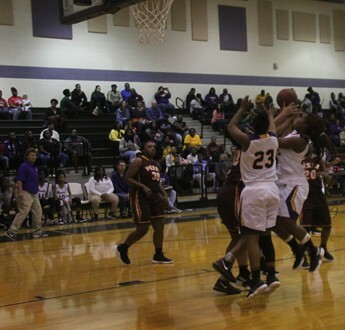 Tesa Taylor tries to help Markayla Jenkins. The Royals got off to a similar start, drawing within two after the first quarter thanks to a buzzer-beating three by Nykeem Farrow but trailed 31-24 at halftime. Down two in the third, Deandre Pitts� dunk ignited an 8-0 run capped by another three by Farrow as time expired. Mykel Anderson tries to get a rebound. Up by as many as 14 in the fourth, the Panthers used an 8-0 run to get within four with under two minutes left. 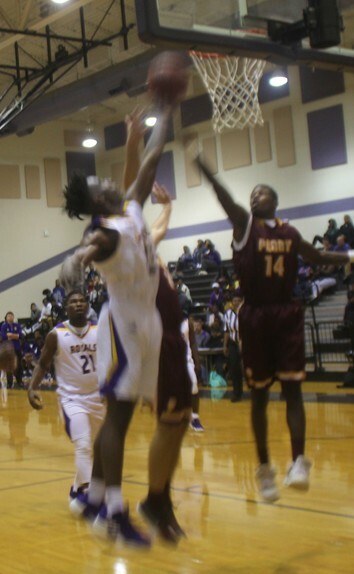 Bleckley though would hold on to win 64-56. Farrow finished with 26 points. Mekell Farrow had 15 points. Shontavian Manuel added 10 points. Region play begins December 4 against Northeast. 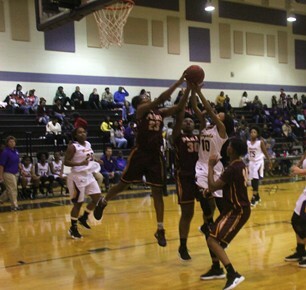 Games will be played at Central Georgia Technical College�s gymnasium, 1780 Anthony Road. Varsity tip time is 6 pm.